Jennie Middleton joined the Transport Studies Unit as a Senior Research Fellow in Dec 2013. Prior to this she was a Senior Lecturer in Human Geography at Kingston University. Jennie holds a BA (Hons) in Geography (University of Wales) and an MSc in Human Geography Research (London School of Economics). Following the completion of her PhD at King's College London (2007), Jennie was awarded an ESRC Postdoctoral Fellowship at Royal Holloway, University of London (2007 – 2008). She has also held research and lecturing posts at Cardiff University and the University of Plymouth, and was a Visiting Research Fellow at the University of Western Sydney. Jennie's work to date has been funded by the British Academy, ESRC, John Fell Fund, and the Wellcome Trust. The intersections between everyday mobile practices and the geographies of gender, class, ethnicity, age and disability are central to Jennie's interests in the geographies of mobilities. In particular, she is concerned with how mobile practices are situated in the complex coordination of everyday life. Jennie's work on urban walking has made a significant contribution to understandings of the relationship between walking, urban space, and critical urban politics. Her re-conceptualisation of walkability as being socially and materially co-produced in relation to unfolding habits, routines, and practices is central to an interpretive framework in which walkability is not reduced to where or what is walkable but the ways in which urban space is consumed and produced through different ways of walking. Jennie is particularly interested in the implications of this work for urban and transport policy. For example, in her role as Course Director of the Global Challenges in Transport Leadership Programme she has created, in collaboration with her team, a space for critical dialogue between transport/ mobilities scholarship and transport policy/practice. A prominent theme of Jennie's work is how care is delivered and received in the austere city. Previous research includes a British Academy funded project (with Richard Yarwood, University of Plymouth) on Street Pastors in relation to their role as Christian volunteers who patrol urban places at night to provide practical support and care for users and providers of the night-time economy. Whilst she is currently leading Wellcome Trust funded research on urban austerity, care and new parenting practices (please see: oxfordnewparents.com). In building new interdisciplinary research at the intersection of human geography and social psychology, this work makes fundamental contributions to advancing understandings of the physical and mental well-being of new parents whilst providing new understandings of care in relation to contemporary urban socio-economic and political landscapes. This programme of work is informing the development of future research on maternal mental health, digital culture, and urban austerity. Jennie has critically drawn upon/developed a range of qualitative methods in her work including diary-interviews/photo diaries, video methods, photo apps, and mobile methods. For example, a John Fell Fund grant, in collaboration with the Royal Society for Blind Children (RSBC), explores the relationship between in/interdependent mobility and the everyday lives of visually impaired young people in London through the use of video methods. A series of participatory filmmaking workshops with research participants has resulted in six short films which highlight their experiences (please see: www.vi-mobilities.co.uk). This work is key in the development of her ongoing critical engagement in the growing interest across the social sciences with mobile methodologies. 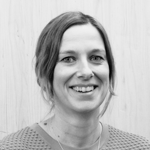 Jennie is course director for the TSU's short course Oxford Leadership Programme: Global Challenges in Transport and module leader for the MSc in Sustainable Urban Development on the transport and sustainability module. Jennie also teaches on the Final Honour School special option 'Transport and Mobilities' in the School of Geography and Environment. Middleton, J. (forthcoming) The Walkable City: the dimensions of walking and overlapping walks of life. Abingdon: Routledge. Middleton, J. (2018) The socialities of everyday urban walking and the ‘right to the city’. Urban Studies, 55(2): 296-315. Cook, S., Davidson, A., Stratford, E., Middleton, J., Plyushteva, A., Fitt, H., Cranston, S., Simpson, P., Delaney, H., Evans, K., Jones, A., Kershaw, J., Williams, N., Bissell, D., Duncan, T., Sengers, F., Elvy, J. and Wilmott, C. (2016) Co-Producing Mobilities: negotiating geographical knowledge in a conference session on the move. Journal of Geography in Higher Education, 40(3): 340-374. Middleton, J. and Yarwood, R. (2015) “Christians, out here?” Encountering street-pastors in the post-secular spaces of the UK’s night-time economy. Urban Studies, 52(3): 501-516. Newton, J., Franklin, A. and Middleton, J. (2012) (Re-)negotiating access: social science research and skills and knowledge for sustainable communities. Geoforum, 43(3): 585-594. Franklin, A., Newton, J., Middleton, J. and Marsden, T. (2011) Reconnecting skills for sustainable communities with everyday life. Environment and Planning A, 43(2): 347-362. Middleton, J. (2011) "I'm on autopilot, I just follow the route": exploring the habits, routines and practices of everyday urban mobilities. Environment and Planning A, 43(12): 2857-2877. Middleton, J. (2011) Walking the city: the geographies of everyday pedestrian practices. Geography Compass, 5(2): 90-105. Marsden, T., Franklin, A., Newton, J. and Middleton, J. (2010) Sustainability in practice: situated learning and knowledge for the evolving eco-economy. Town Planning Review, 81(5): 541-562. Middleton, J. (2010) Sense and the city: exploring the embodied geographies of urban walking. Social and Cultural Geography, 11(6): 575-596. Middleton, J. (2009) 'Stepping in Time': Walking, time and space in the city. Environment and Planning A, 41(8): 1943-1961. Middleton, J. and Spinney, J. (forthcoming) Inclusion and Equality. In, Docherty, I. and Shaw, J. (eds.) Transport Matters. Policy Press, Bristol. Middleton, J. (2010) Walking city. In, Hutchison, R. (ed.) Encyclopedia of Urban Studies. Sage, London. ISBN: 9781412914321. Middleton, J. (2008) The promotion of London as a 'walkable city' and overlapping walks of life. Chapter 11 in, Imrie, R., Lees, L. and Raco, M. (eds.) Regenerating London: Governance, sustainability and community in a global city. Routledge, London. pp. 192-211. ISBN: 0415433673.